As some of you know, I like torturing quizzing authors about their books before I spill my review. Jacqui Murray has been everywhere sharing her latest, Born in a Treacherous Time. To be honest, I wasn’t sure about paleo-fiction. Paleo fiction? Hmm. But, Jacqui is immensely talented, and I’ve enjoyed her other books, so I figured I’d give it a go. Well, move over Jean Auel (Clan of the Cavebear), Jacqui Murray has written a mesmerizing book! And I have to rave a little. What a great question, Diana. The short answer is, I spent a lot of time living in Lucy’s world (of Homo habilis). I started by reading everything I could get my hands on about life in that era (a lot of paleo topics like paleoclimate and paleogeology). But scientists have so few artifacts of those ancestors, I had to dig deeply into the worlds of the Great Apes (the animals that came immediately before upright man)—apes gorillas, orangutans. Through the sensibilities and work of women like Jane Goodall, Dian Fossey, and Birute Galdikas, I gained tremendous admiration for these predecessors who ultimately shaped man. In fact, now, when I look at one of these creatures, I no longer see an animal; I see a human. Primitive but with the seeds of who we are. I am disgusted at the barbarian practice of using apes for drug testing as though they are less than human. They aren’t less than me, just different. 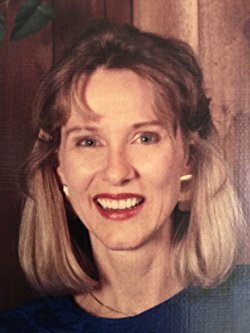 Once I grounded myself, I had to remember Lucy’s world had no fire, no clothing, no religion or art, no music, no spoken language, no symbolic names (their call signs were sounds). No cultural rules. Attachments revolved around survival not emotion. And her animal instinct was super-charged with her brilliant brain. As I wrote, I had to make sure I was true to those guidelines. Here’s an example. I knew hunting (which to them was scavenging carcasses) involved long periods of waiting while the alpha predator finished its meal and other scavengers got first crack at the remains. Lucy would crouch in grass (early human bottoms didn’t allow them to sit yet), the humidity pressing in, the crawly creatures biting through her hair/fur, the sun beating down or maybe rain. I had to remember Lucy didn’t care about any of this and never relaxed while waiting. She was always busy smelling what was around her, smelling for those who hunted with her to know where they were, sniffing to find other scavengers who might try to take her food. She was weaker than every predator in her habitat with worse offensive and defensive capabilities (flat teeth, dull nails, thin skin). But she did have a brain that could plan, think, and problem-solve (in a primitive fashion). Other animals could do that but their actions were based in instinct. Lucy’s was driven by her growing intellect. Over all, I kept Lucy honest to her true self because I developed absolute respect for her, who she was, her primitive moral core, her ability to never feel sorry for herself. She’s who I would love to be in a sense but I’m simply not tough enough! Move over Jean Auel (Clan of the Cave Bear) for Jacqui Murray. I went to bed right after dinner last night because I had to finish this book and would have stayed up all night to do it. What a fabulous read. Born in a Treacherous Time takes place at the very start of mankind’s development – we are inventive, communal, thoughtful, emotional beings, but still deeply rooted in our animal origins, fully integrated into the harsh volcanic landscape and with the creatures who share our world. Survival is an ongoing challenge and hunger a constant companion. Overlaying the struggles of daily life is the threat of man-who-preys, the next generation of mankind. The story follows Lucy (Woo-See) through a period of years. She’s a strong character, a healer and a hunter who’s eager to learn new skills that not only make her an asset to her group but leave her an outsider. There are a number of compelling characters, fully developed and distinct, with a wide range of personalities. No doubt, Murray did her research, but so little is truly known about this time, that I’m certain she had to employ her imagination as well. The world-building is meticulous. Murray deftly presents a world as seen through the eyes of those who inhabit it. She created words (and hand-signals) to describe the landscape based on the characters’ observations: “Night Sun” instead of moon, “Fire Mountain” instead of volcano. Her attention to creating a logical and detailed reality is stunning. I was honestly enthralled. The world-building extends to characters as well, and I loved that none of them had “modern” sensibilities that would have tainted the believability of the story. No one is squeamish about raw food or bodily functions, and death is viewed as a natural occurrence. The characters have many of the natural abilities and acute senses of the animals living around them, yet unlike their animal cousins, their understanding of the world grows with each experience. Best of all, as a reader I became quite attached to these primitive humans, empathizing with their struggles, losses, and choices. There is a depth of emotion, spirit of community, and generous nobility that stretches through the hundreds of thousands of years to our current lives. 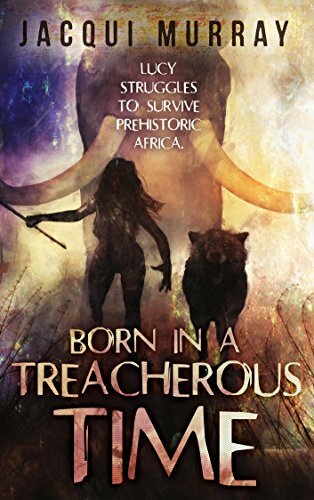 A captivating book that I recommend to any reader who enjoys adventures, exquisite world-building, or works of historical fiction and prehistory. Want a book that will keep you up all night? Here’s a global Amazon link: Born in a Treacherous Time.